France, so called a romantic country, always attract thousands of tourists. From ancient time to now, France always own plentiful historical culture and legendary historical stories. Meanwhile, the famous Eiffel tower is well known by the people of the world. It is the famous building of world; one of the symbol of French culture; one of the landmark of Paris city; the highest building in Paris and also is called La Tour Eiffel by French people. Eiffel tower was built on 1889, which is located on Champ-de-Mars and Erecting nearby Seine River in city center of Paris. Its height is about 320 meter, almost the height of 100 levels of building. The four piers (Base) of tower are poured by cement and all of tower body are steel structures with hollow out design with more than 10,000 metal parts connected by millions of rivets. The Eiffel Tower was the world’s first steel tower, unique in terms of height at that time. The Eiffel tower had been built by numerous spare parts of steel structure-looks like a stack of mode component. There are 18038 steel components, weighing up to 10,000 tons, with 7 million drilling holes and 2 million 500 thousand rivets during construction. Because each part of the tower was strictly numbered in advance, there was no mistake in assembly. The construction was carried out according to the design completely, without any alteration in the middle of the project, which shows that the design is reasonable and the calculation is accurate. 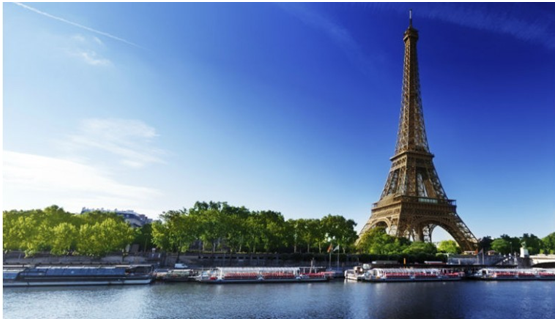 In 1889, the French Revolution 100th anniversary, Paris held a large-scale international exposition to celebrate it. The highlight of the exhibition was Eiffel Tower and It became the symbol of the industrial revolution that swept the world at that time. 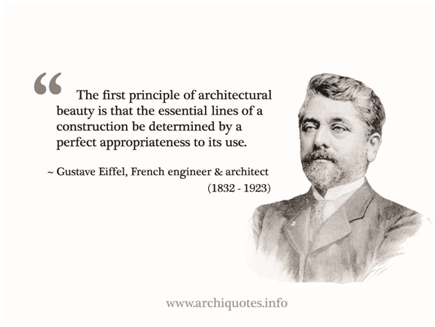 The architect of Eiffel Tower is Gustave Eiffel, a French architect. In January 28, 1887, Eiffel Tower officially started, meanwhile 250 workers worked eight hours a day in winter and 13 hours a day in summer, and the steel tower was completed on March 31, 1889. In March 31, 1989, Eiffel Tower was 100 years old. For this reason, the Paris Tower Management Company specially presided over a grand commemoration, reappearing the centuries ago when Mr. Eiffel led the crowd to the top of the historical scene: wearing a black dress suit, wearing a wide-brimmed top-hat, Mr. “Eiffel” held the national flag and 30 “celebrities” and “construction workers”, in the grand drum music climbing to the top of tower. When Mr. “Eiffel” planted the tricolor flag (National Flag of France) on the top of the tower, 21-gun salute were fired, pigeons flew around the tower, and colored balloons floated up into the blue sky. Check for more interested information.